Make your desk more fun! 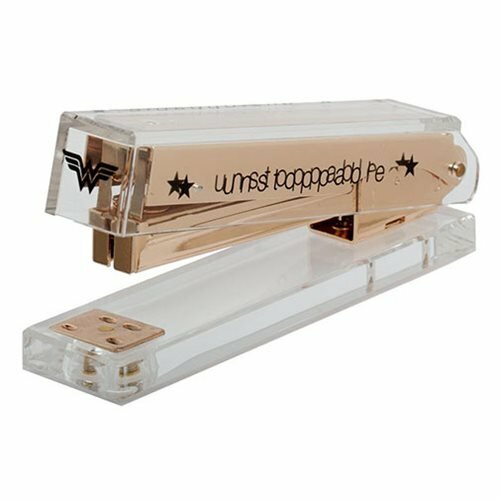 Brighten up your work space with the Wonder Woman Acrylic Stapler. 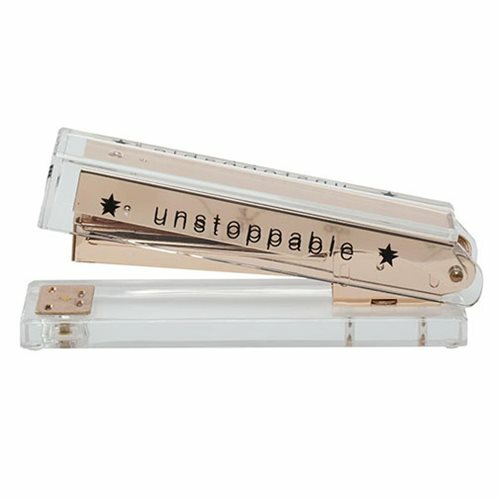 This stylish office accessory features a sturdy, high-end, acrylic and metal construction, complete with metal accents! Half-strip stapler size, does not include staples. Ages 14 and up.